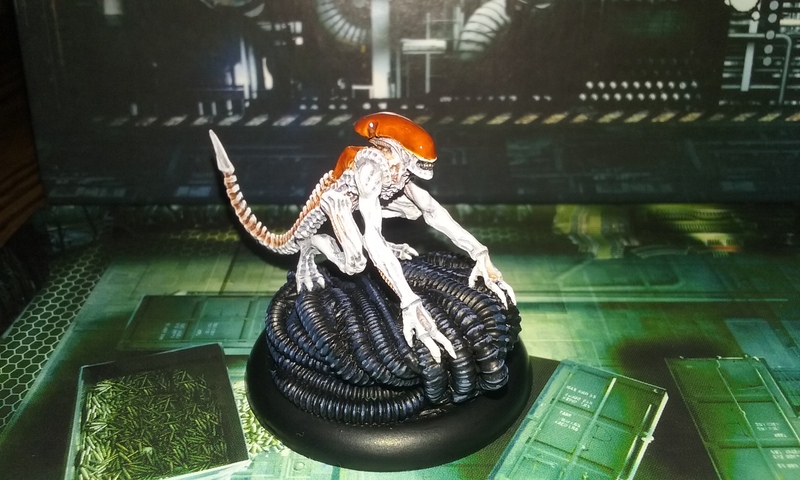 AvP Unleashed forces - 2000pts each. I lied, my body was not ready. 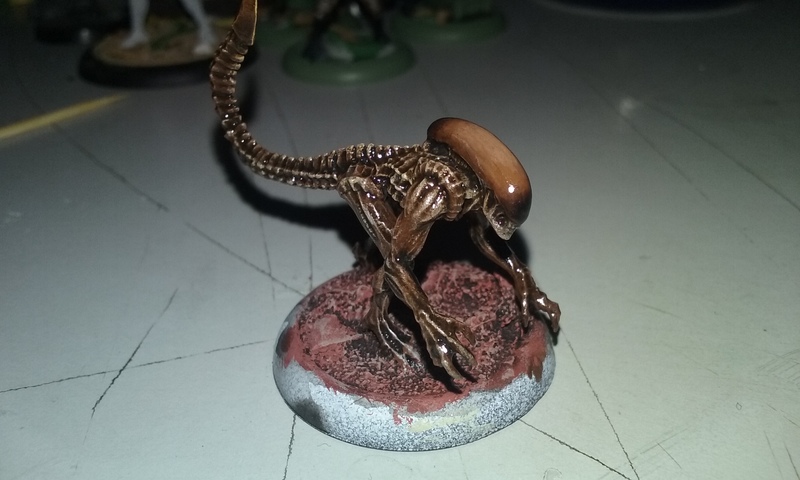 Any advice for Games workshop paints for Aliens? I've got a starter kit from a Warhammer box I bought a while ago, and I can get some individuals. 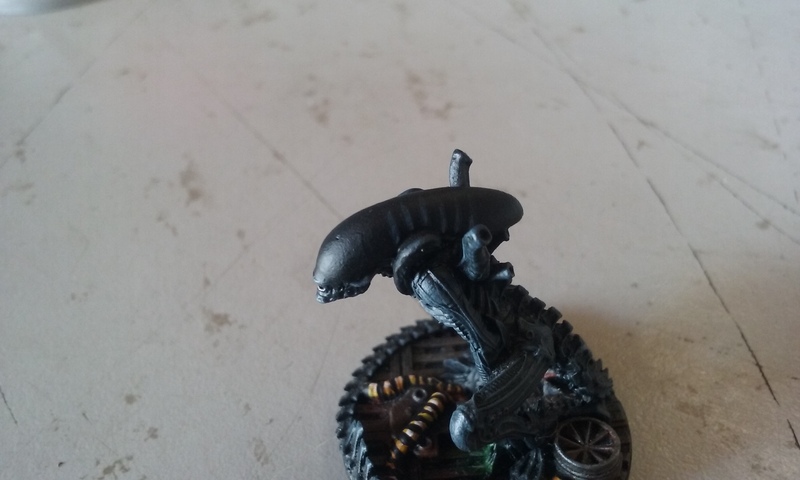 Want to get the Aliens done at least -- base coating in Chaos Black, then thinking blue/silver for the Infant Warriors and brown/bronze from the Stalkers. 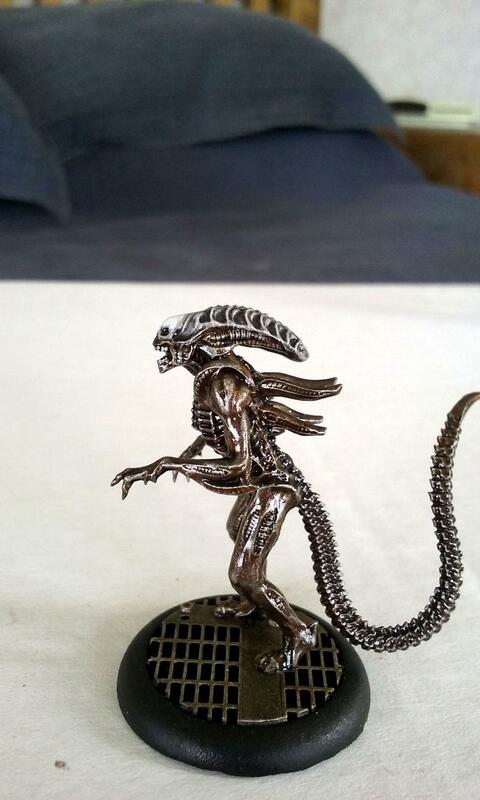 Are you looking for a bronze like NECA's Scorpion alien or something like their brown warrior? If you want different colors, you could just use them und substitute colors to taste. Tons of advice actually. 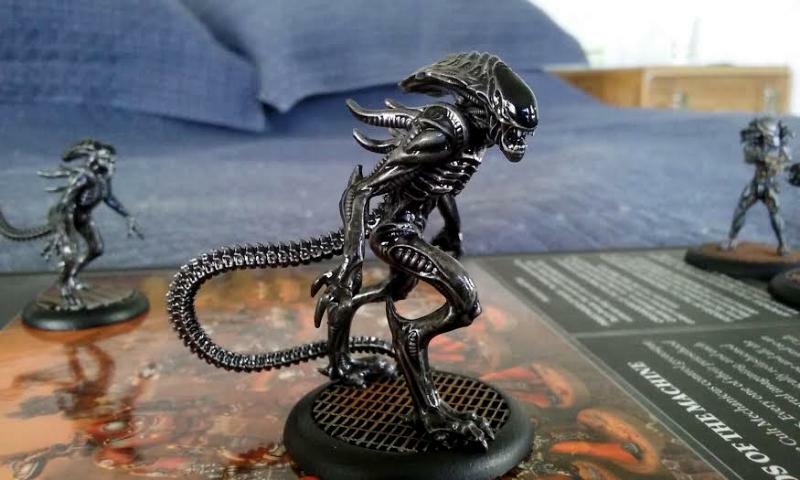 If you can find a few screencaps from games or movies closest to what you have in mind that'd be easiest, but either way we can develop a good scheme. 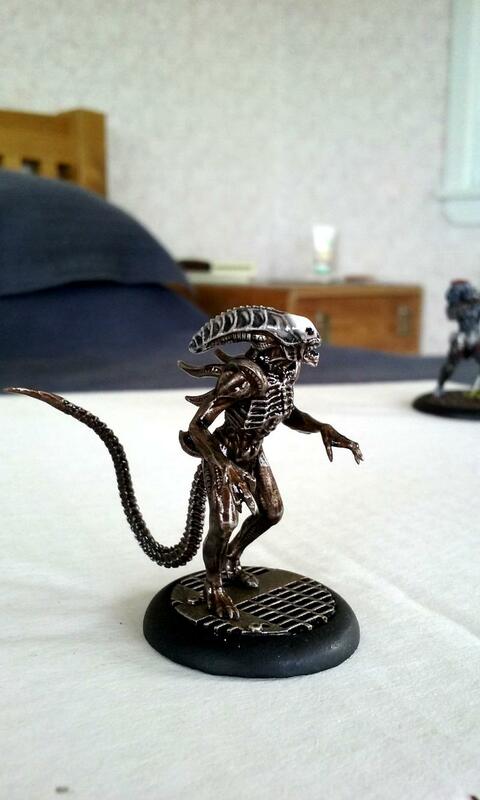 Also here's some of my first batch of Aliens, done in metallics. I went pretty fiddly with lots of layers but it would be easy to simplify the method a bit and add some blue in there. 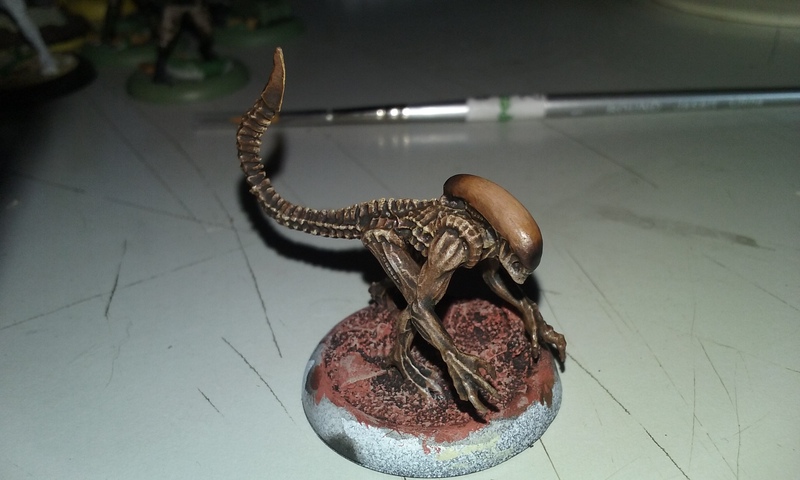 The really important thing when painting Aliens is to have clear ideas of the differences between similar techniques, most importantly of all, the difference between an overbrush and a drybrush, and between a wash and a glaze. That's great, especially the advice for the bronze. 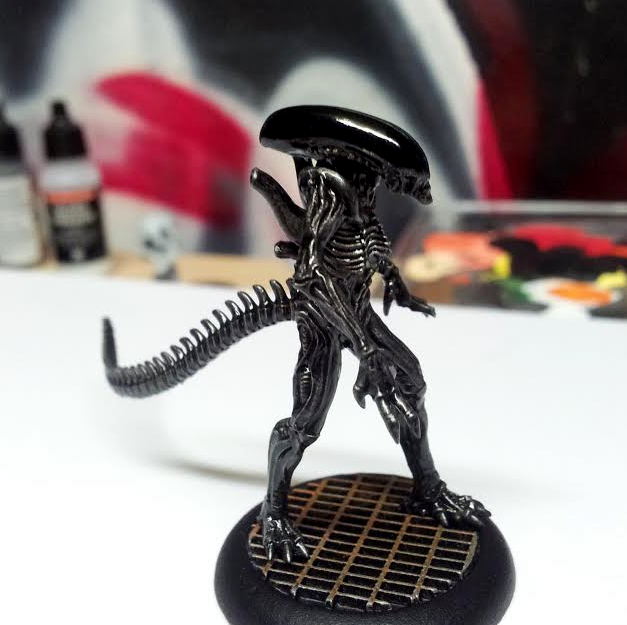 I'll find some reference photos, but I love how those black Aliens came out above. I've also seen some people get a transparent dome effect going that I'd love to try. I've had a few goes at different translucent heads, here's a sample. 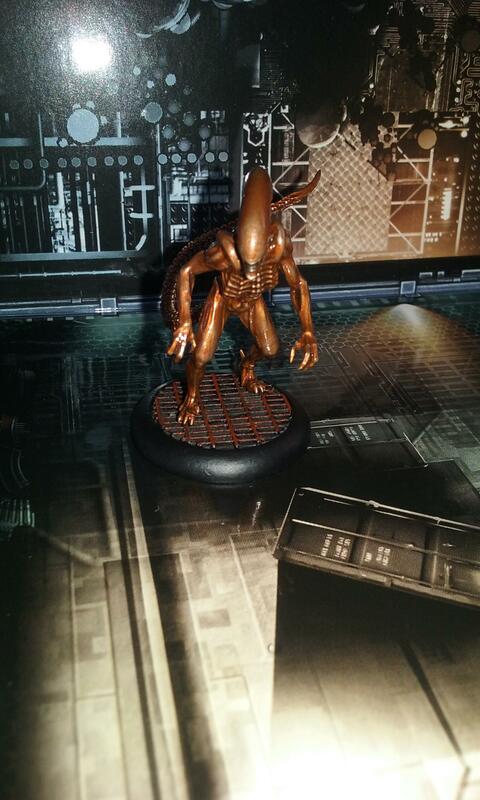 That glossed domed Stalker is gorgeous. 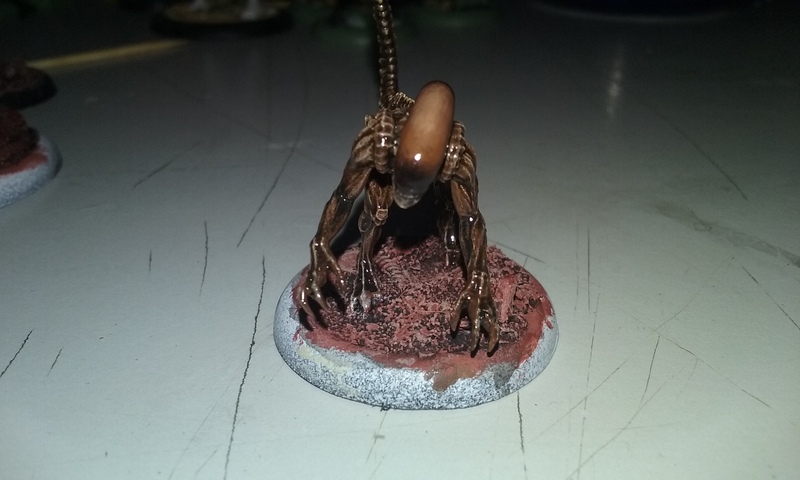 I actually saw someone on Facebook who'd managed to get it to look like the skull under the dome on their Infant Warriors, I'll try that (same technique, I'm guessing, just painted to look like there's light catching the brow highlights). Do you have a gloss you recommend? GW gloss looks great and goes on well in 1-2 coats, but i've had trouble with both dust and transport foam bonding into it in high temperatures. 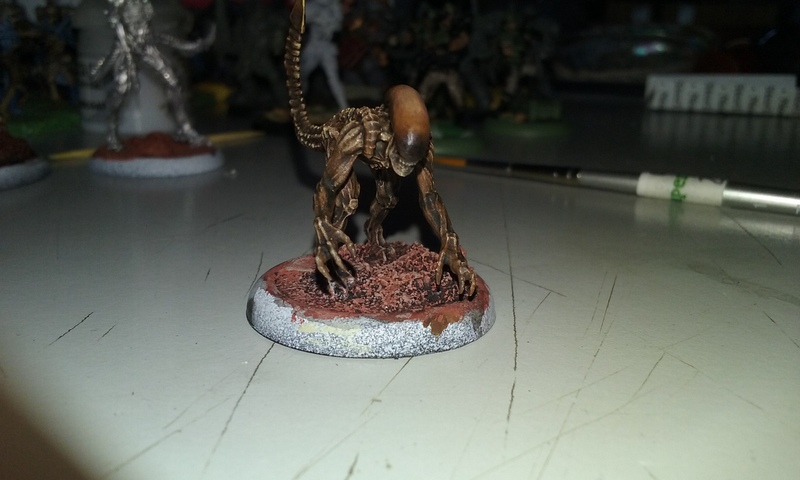 The Army Painter gloss is just as good but without any issues. Also, which fb group did you see that on? 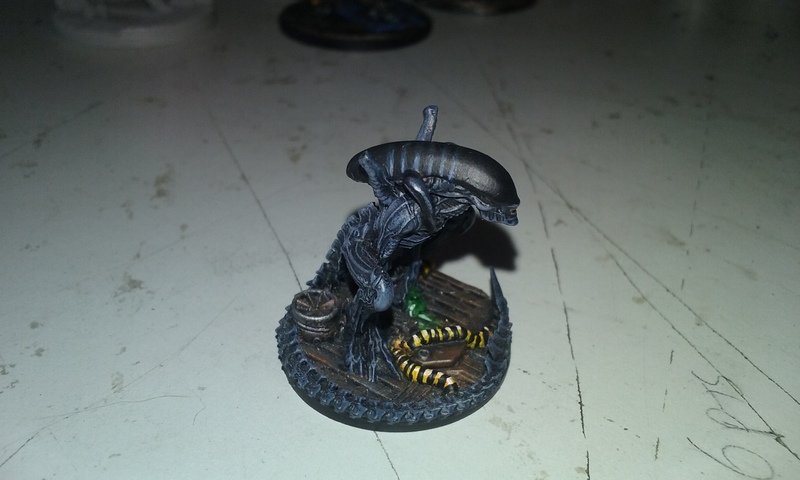 AvP Prodos Game Official, by Joseph Marty. Attaching the pictures here to save you some time. Oh, I've seen those before and totally forgot them. 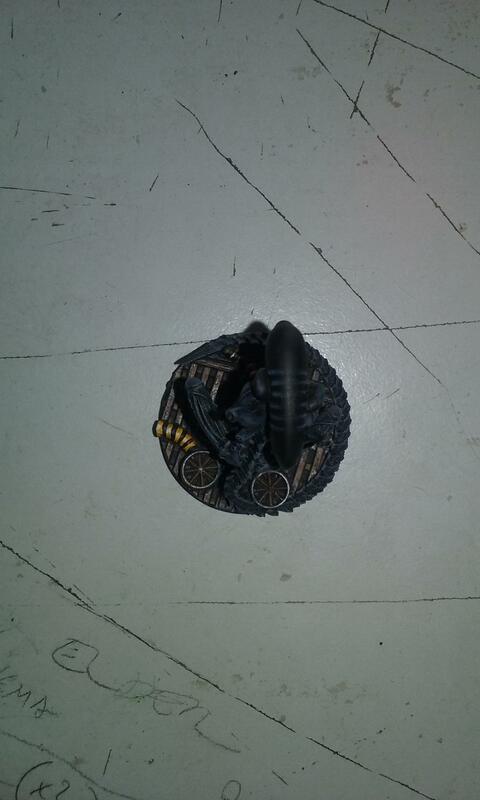 Joseph does some great stuff, I pinched (and darkened a bit) one of his colour schemes for my Evolved Warriors. 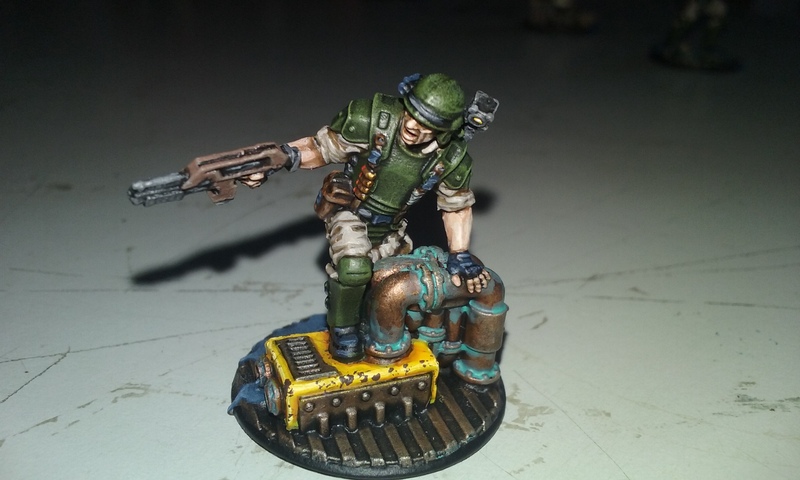 Not techincally legal lists, but they're there for hyperspecialised missions, and provide a pool of 400pts give or take, for each type of Predator to select from for normal/mixed lists. 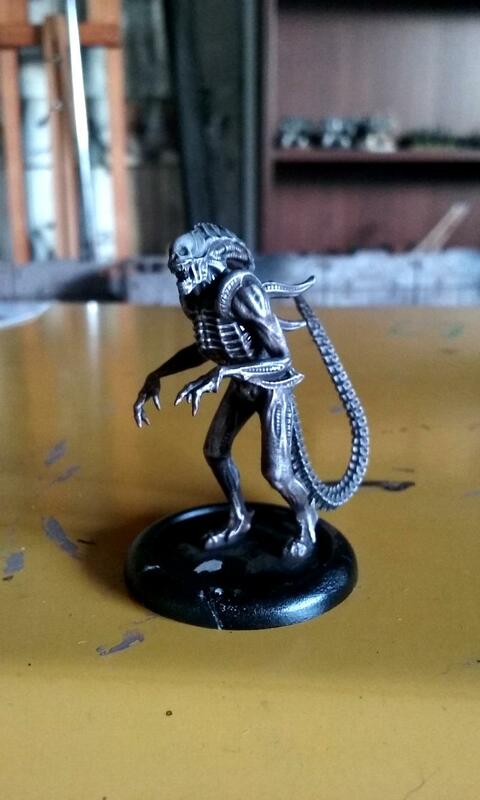 The weird numbers are from painting a handful of extra infants, warriors, stalkers and an extra predalien, in case of spawning said models in a game where all the default numbers are still on the table. An unlikely occurance but it feels good to have the spares just in case. I'd email them and just ask them to swap it.